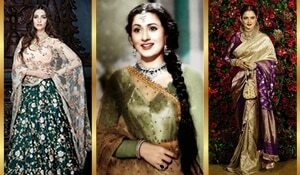 One of Bollywood’s classic beauties Meena Kumari is still considered a beauty icon and there is a strong, time-tested reason behind it. 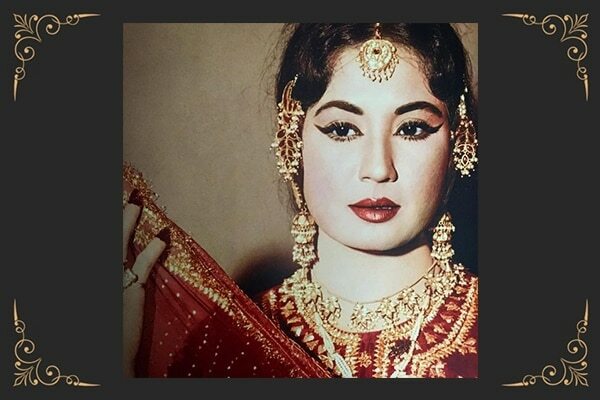 Meena Kumari is a gem who carved her own beauty niche in the industry and gave Bollywood some of its most iconic looks with movies like Pakeezah and Sahib Biwi Aur Ghulam. Her ability to create (original) looks with those elaborate saris, deeply kohled eyes, paasas, anarkalis, and most importantly, her ahead-of-time makeup risks have all made her one of the most path-breaking actors of her time. 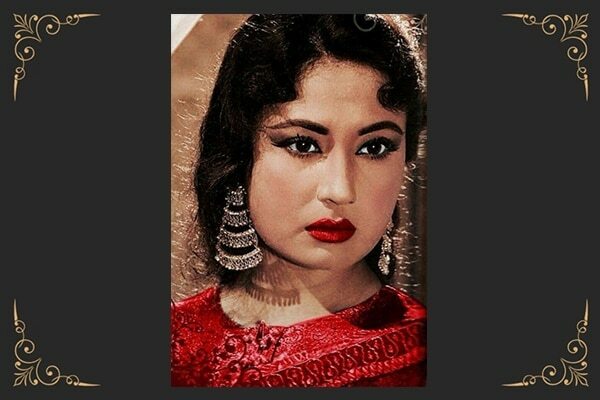 Today, with all the world’s beauty trends at our disposal and with new Instagram beauty trends flooding our timelines every other day, Meena Kumari’s iconic beauty looks are still being appreciated and replicated. Let’s take a quick look at three of her iconic makeup looks that are still hot on the beauty charts. Meena Kumari’s heavily laden lids with oodles of mascara are a beauty trend that still keeps resurfacing every other season. 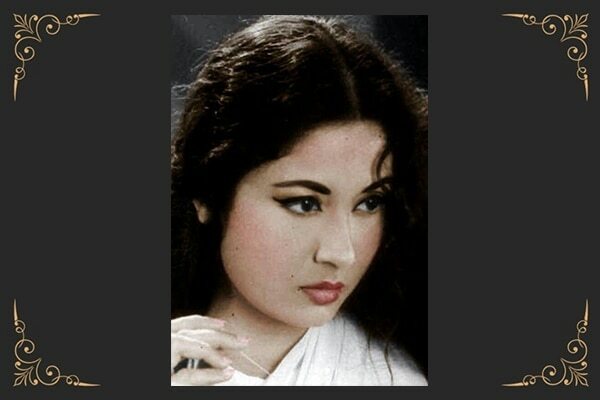 Those beautiful, long lashes are just as relevant today as they were in the times of Pakeezah. Meena Kumari’s wide winged eyeliner was a fierce move for her time but she carried those heavily winged eyes with much ease. She used that thick eyeliner to define her almond-shaped eyes and complement the strong women characters she essayed. 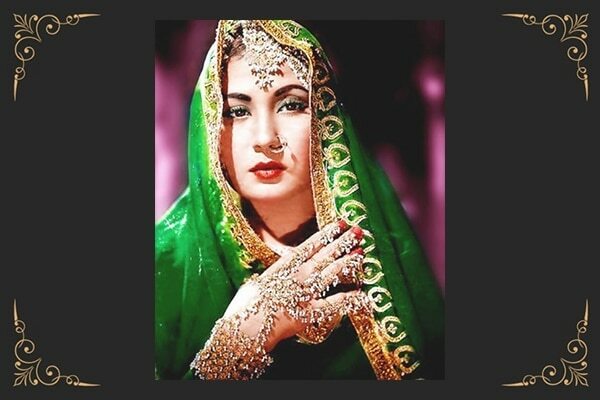 Deep, dark, bold lips in metallic hues were again a Meena Kumari staple. She wore them with such panache, she turned them into a beauty trend of the time. Even today, we see bold metallic lips make regular appearances on the fashion radar. Bold, bushy eyebrows you might think are a millennial trend, but you are wrong. Meena Kumari not only wore strong, bold eyebrows in her time (before they were cool); she also teamed them with bold lips and winged eyes without a second thought. 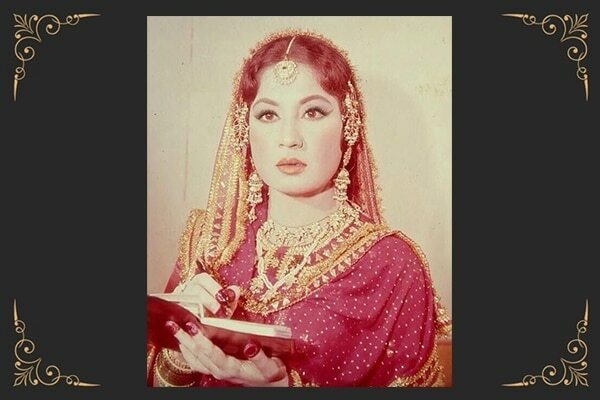 All things bold and bright, Meena Kumari sure knew how to carry her makeup.